Installing A New Fireplace Or Stove? We Can Help! Here at Copper Top, we’re committed to making the fireside experience of our neighbors in Atlanta, Augusta, Chattanooga, and the surrounding communities as enjoyable and convenient as possible. 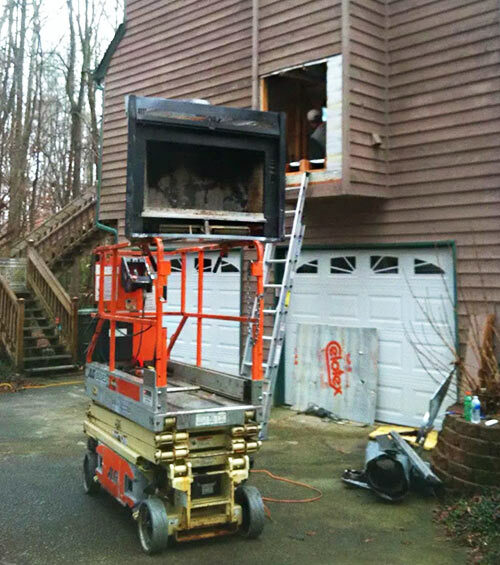 That’s why we offer comprehensive chimney and fireplace services, from chimney cleanings and inspections to fireplace and stove installation. Our technicians are trained and experienced in all things chimney and hearth and can meet any and all of your fireside needs. If you’re shopping for a new hearth appliance or are looking to add a stove or fireplace to your home, you can count on the professionals here at Copper Top Chimney Services to answer any questions you may have, and help make the entire process easier and less stressful. We have years of experience installing fireplaces and stoves of all types, from FireRock masonry fireplaces to Heatilator prefabricated systems. We’ll even help you locate the best appliance for your home at the best price! Our technicians will sit with you to discuss your needs, lifestyle, aesthetic/design preferences, fuel preferences, price range, and space, and make recommendations for a new stove or fireplace based on all of these things. Once we’ve worked together to determine which fireplace or stove is right for your space, you can count on us to provide fast, professional installation service. Whatever brand, type, or style of fireplace or stove you choose, the team at Copper Top will make sure your new system is properly installed and ready to be enjoyed when you’re ready to enjoy it. From clearance to combustibles to proper venting, we’ll make sure you’re all set. If you’ve recently purchased a new hearth appliance or you’re on the lookout for your next fireplace or stove, give Copper Top Chimney Services a call at 770-944-1200. Our licensed and insured technicians will install your new appliance according to the manufacturer’s instructions so you can enjoy your new fireplace or stove with confidence. Call or request an appointment online today! Let our chimney and fireplace service experts take care of removing animals from your chimney system to avoid harm to your chimney, the animals or to yourself!